If the client wants to include a no-contest clause in an estate plan, makes sure that plan is exceptionally clean. All estate planning clients want their trust or will to be strictly enforced after they’re gone, but such enforcement can be a difficult thing to guarantee. One stratagem that many estate planning attorneys opt for is a no-contest clause to be inserted in the documents. That can generally function as a sort of poison pill: Heirs who launch a contest against the trust, or will, can be automatically written out of it, losing whatever stake they otherwise would have had. No-contest clauses will prevent most frivolous attempts to overturn a trust, but there is one key exception: The Uniform Probate Code ensures that a no-contest clause is unenforceable if probable cause exists for contesting the will. In other words, a beneficiary can still successfully challenge a trust as long as he or she has a good reason for doing so. If a court decides that a beneficiary has probable cause to contest the trust, he or she can do so without forfeiting his interest in the estate. Thus, a prudent beneficiary would want to be certain that probable cause exists before contesting a trust that includes a no-contest clause. A new article by Joseph Viviano in the Trust & Estate Law Journal argues that the best way for a prudent beneficiary to ascertain that he or she truly has probable cause is to seek a declaratory judgment from a court asserting that cause, prior to contesting the trust itself. That allows a beneficiary to launch a contest without triggering the trust’s no-contest clause — and risking the loss of his or her inheritance. So clients setting up what they expect to be unbreakable trusts should be forewarned. Some aspects of this strategy that planners should keep in mind. A no-contest clause might be a good idea if the client expects heirs to be disappointed or outraged by how much of the estate they’re receiving. But to validate the no-contest clause, the putative heir can’t be completely shut out. He or she must be left something of value. These clauses work only work if the heir does not want to risk losing whatever their share of the estate is. In some states, a no-contest clause may apply only to certain portions of the client’s estate plan. For example, even with a no-contest clause, the heirs may be able to mount a challenge against the executors in some states. If the client wants to include a no-contest clause in an estate plan, makes sure that plan is exceptionally clean. If the client omits a piece of property or isn’t clear about the distribution of something, their heirs could be dissuaded from legally fixing the problem, lest they be completely disinherited. Clients may wish to familiarize themselves with Probate Code Section 21320, which stipulates that a proposed petition or objection will not violate the no-contest clause if it is filed. Petitions filed under Section 21320 are the most common way that these things are fought in probate court. If your clients are in Florida or Indiana, tell them not to bother. Those states don’t enforce no-contest clauses under any circumstances. If the client writes and files a will or estate plan in a state that respects no-contest clauses and then retires to Florida or Indiana, the no-contest clause will still be void. 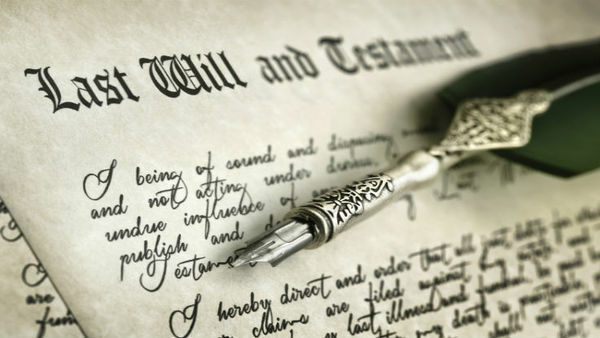 One requirement that probate courts tend to look at it is whether the maker of the estate plan or the will was of “sound mind” when the will was made. Usually, a court faced with resolving a question of mental capacity requires only that the person who made the will: (1) knew what the purpose of a will is; (2) knew that he or she would be expected to provide for such people as a spouse or children; and (3) was able to understand what he or she owned and make conscious decisions about how to distribute it. Forgetfulness or even signs of the onset of Alzheimer’s disease does not establish incapacity. If the client does want to include a no-contest clause, it’s not hard to pass some of these tests, with witnesses and in writing, in order to fend off contests for those reasons.